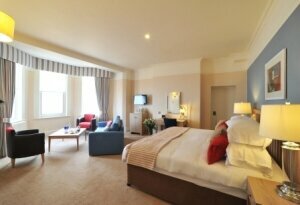 Escape the daily grind at the Brudenell Hotel! 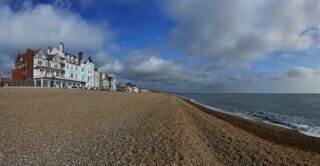 Located on the Suffolk Coast in Aldeburgh, The Brudenell offers the perfect getaway for a traditional seaside holiday. Decorated in relaxing tones and stylishly furnished, there are 44 deluxe bedrooms to choose from - many of which have breath-taking views of the River Alde and the sea. 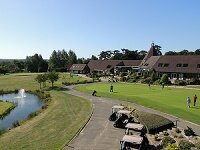 The Brudenell has been awarded two AA rosettes and has an AA quality rating of 87%. Exceptional panoramic sea views can also be enjoyed in the bar and the Seafood & Grill restaurant, which offers seasonal delights to tantalise your taste buds from James Barber, our chef. 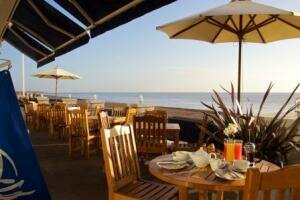 During the summer you can dine al fresco on the sea-facing terrace, close to the beach. 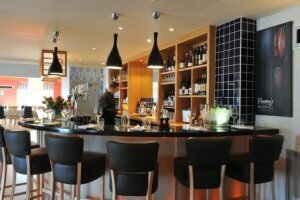 Please click on the 'Visit Website' link above to view details of our ever-changing menus and to make a reservation.